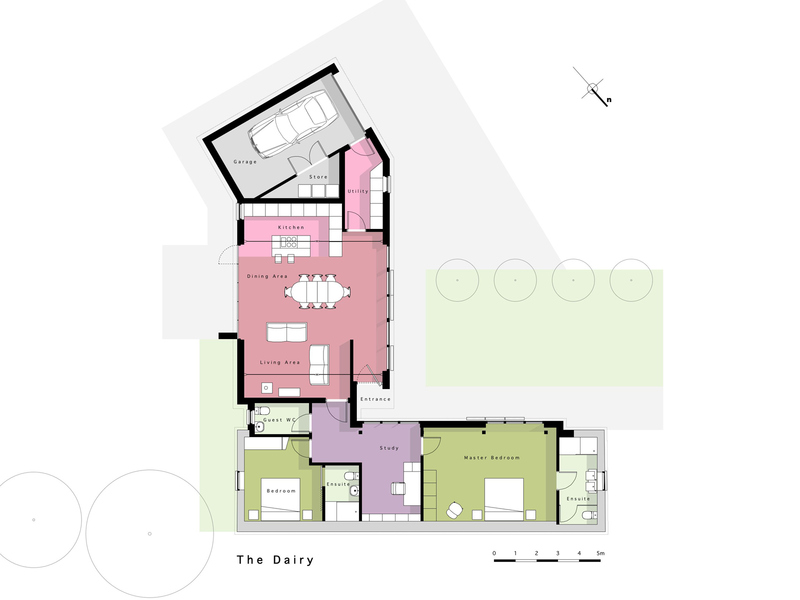 The project involves the renovation and extension of an existing single storey Dairy Barn in Danzey Green, Warwickshire. The 19th century barn was in a poor state of repair, but with elements of character and charm to be preserved. 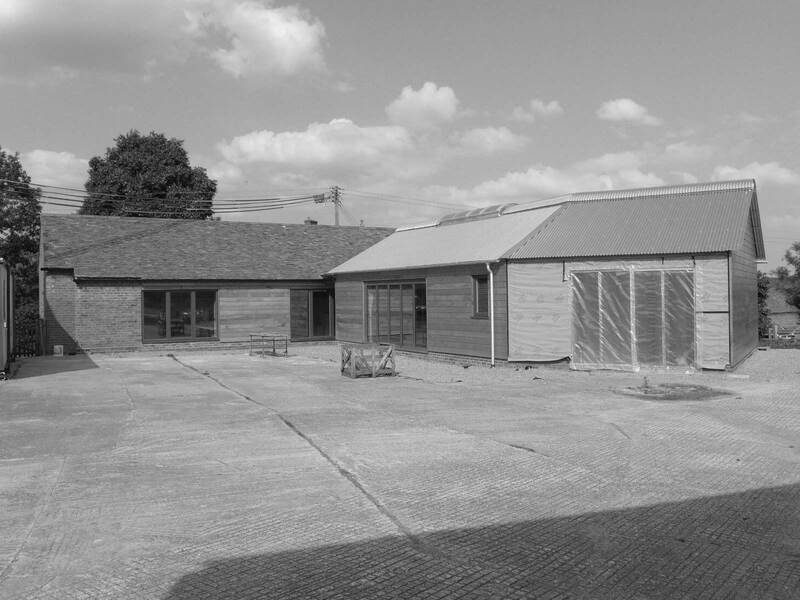 D5 have proposed the complete refurbishment and sensitive modernisation of the existing barn to provide sleeping accommodation. 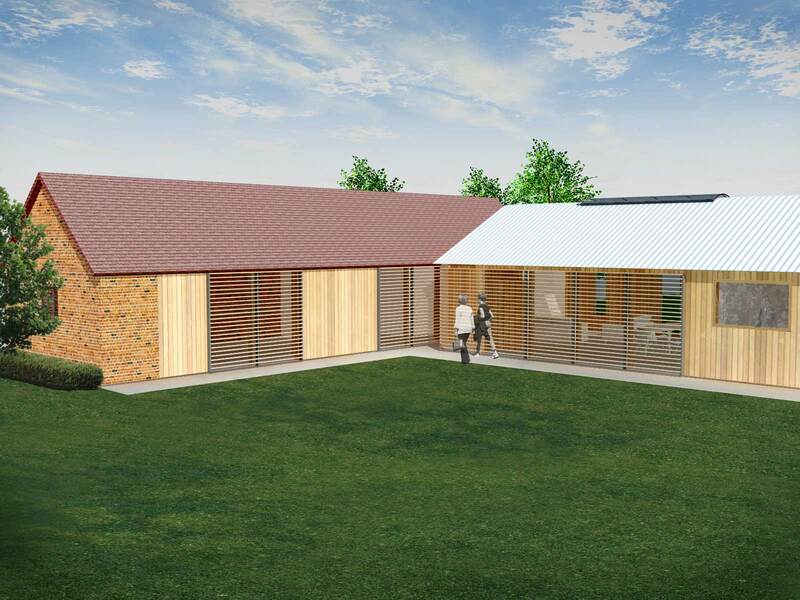 A new extension will be provided on the footprint of a demolished adjoining building, which has been designed to reflect the language of simple utilitarian farm buildings. 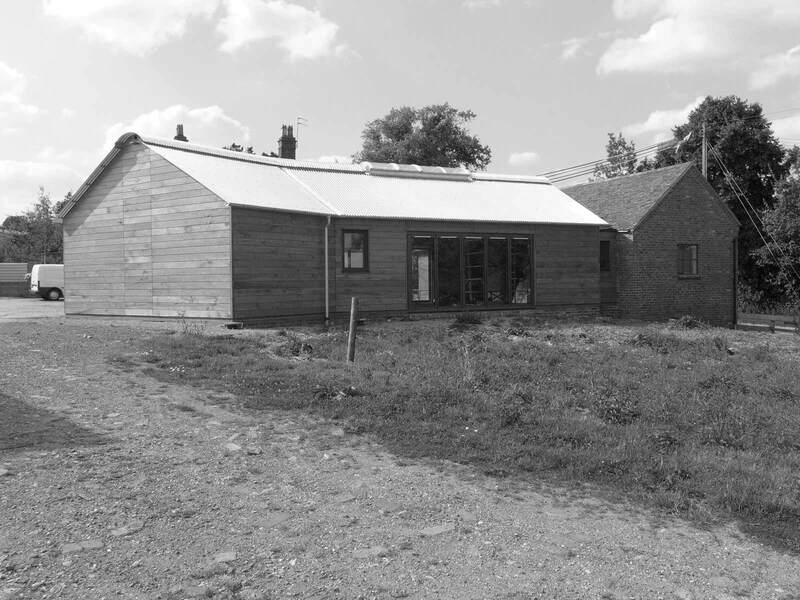 The extension is a portal frame with a sinusoidal metal roof and timber weather board clad walls. 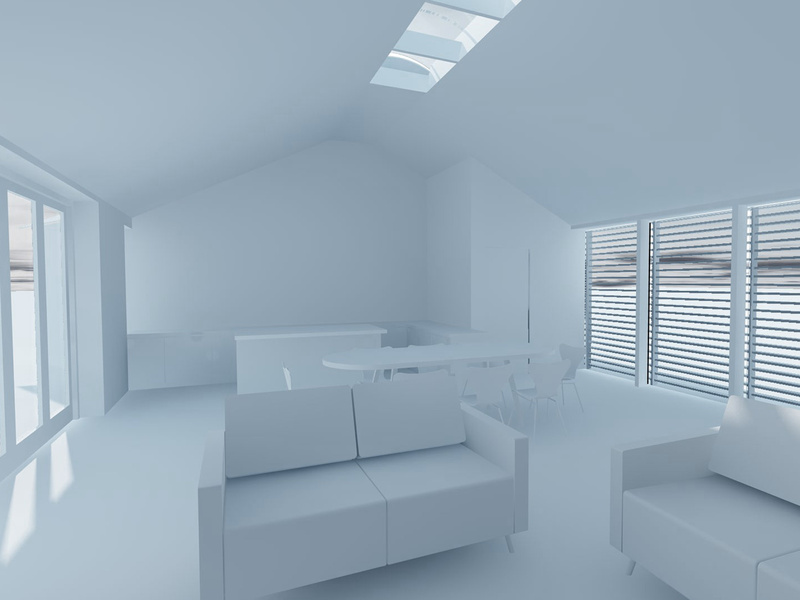 The new living spaces are open plan with floor to ceiling windows to maximise daylight. Sliding timber louvres over some windows provide privacy and protection from solar overheating in the summer. Winter heating will be provided via a Geothermal ground source heat pump to underfloor heating. The project is currently under construction on site.